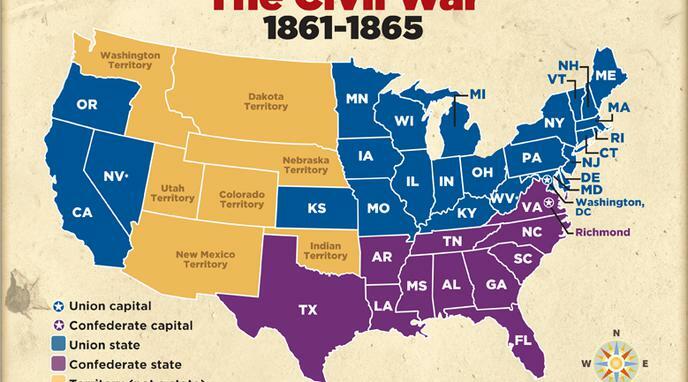 The seceding states explicitly identified with slavery and justified their secession with it. Attacks against the institution of slavery drove the Southern States to secede. The American Civil War was about the North opposing Southern secession, because it wanted to preserve a large and powerful state. The South had the option of supporting the Corwin Amendment, which Lincoln supported, which would have protected slavery. They did not. That's because it wasn't just about slavery. It was a cultural division which included views on slavery. At least four Union states had slavery: Maryland, Missouri, Delaware, and Kentucky. President Lincoln revoked emancipation proclamations issued by generals during the war twice: General Hunter and General Fremont. Thus demonstrating, as stated in the revocation of Hunter's order, that the eventual emancipation of the slaves in the South was used as a political and military strategy, not as an end goal. The Key Issue was not just slavery but the Asset/Economic Rights of both States and of Men. There was a lot more Economic Reasons and issues against central authority with slavery regarded as more of an economic factor rather then a moral one.